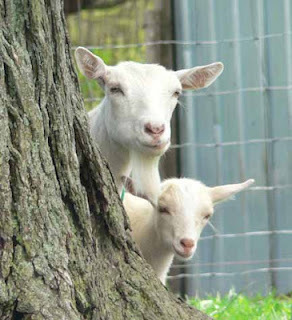 Sunday's post conference workshop is for those who are interested in producing their own dairy products with goats. It will be held at Antiquity Oaks Farm, home of a small herd of Nigerian dwarf dairy goats that provide all of the dairy products for the Niemann-Boehle family. We'll start out in the barn with milking goats, then head into the kitchen to make mozzarella. We'll also talk about how to make hard cheeses such as cheddar and parmesan. We'll head out to the barn and pastures to talk about fencing, housing, and goat health. You'll learn about nutrition and how to administer medicine, trim hooves, and assess a goat's body condition. If you want milk, the does have to give birth, so we'll talk about breeding and kidding: pros and cons of pen breeding vs hand breeding, what's normal in birth and when to intervene, as well as benefits of dam raising vs raising kids on a bottle. We'll also talk about disbudding and castrating male kids, and if any kids are in need of either procedure, we'll also do a live demonstration. 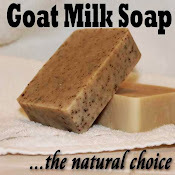 We'll finish the day with a lesson in cold-process soapmaking, using goat milk. You'll even learn how to create your own soap recipes. The schedule may be flipped around a little in the event of inclement weather or excessive heat so that we can be inside during the hotter part of the day. This is an up close and personal workshop with real goats. Be sure to wear closed-toe shoes and long, well-worn pants or jeans. Be forewarned that the goats are very friendly and may jump on you like a dog, and their feet are not always clean. This workshop is $89 and limited to ten participants.